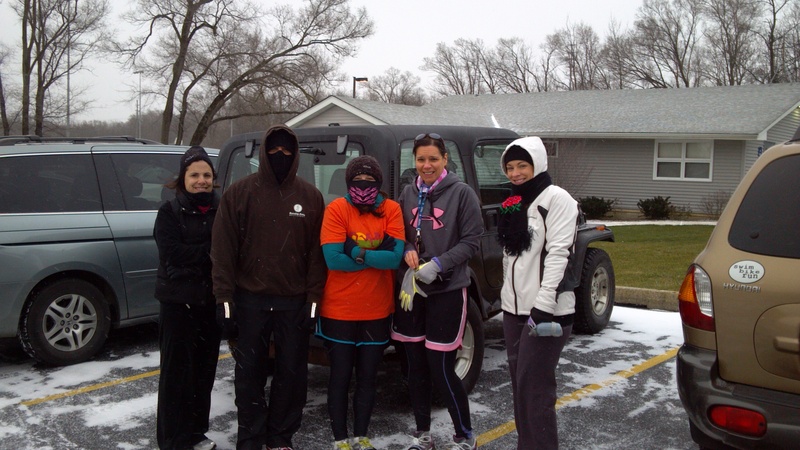 This entry was posted in Cross Training, Running and tagged Christmas, core, Frankfort New Lenox Running Club, habits, Health, New Year, refocusing, Snow, weights by tootallfritz. Bookmark the permalink. Congrats for a strong start to 2012 as well! Go Kelly!! You are doing great now and will kill your half! Are you doing Palos? Thanks Amanda! Yes, I’m doing the Palos half! My goal is to run a sub 2 hour. (But would really love it if race conditions were ideal and I was able to run 1:45) I’m also doing the Rock N Roll, but I was hoping to run it with a friend and plan on doing it just for fun. Great start for the new year!! Love the workout room! Where did you get that stand for your bike, I love that? I was able to start the year off well also, Sunday in the wind/snow/ice/mud ran swallow cliff for 12.12 miles….I felt it in the legs yesterday…..ran from RFK in the evening in the wind/cold, 4.50 miles and my legs were sore…….which is a good feeling!!?! Marathon training starts this Saturday for Illinois!! Have a Happy New Year, with NO injuries!!! Jess – I have treadmill envy of you! You not only HAVE a treadmill but bought one with the iFit Live. I am a huge JM fan! On the bike note, I purchased one off the end of the year clearance. It’s a low level TRI bike. I bought from Trek cuz there is a store about 40 min from my house and they can help me service it. I wanted a Felt but didn’t want to have to go to the CHI for maintanence. I had to get back to reality today too – I did manage to drag myself out of bed at 6AM for a pre-work swim. Always pleasant when it is 18 degrees out! Wonderful elxpaatnion of facts available here. You’ve ralley impressed me with that answer!